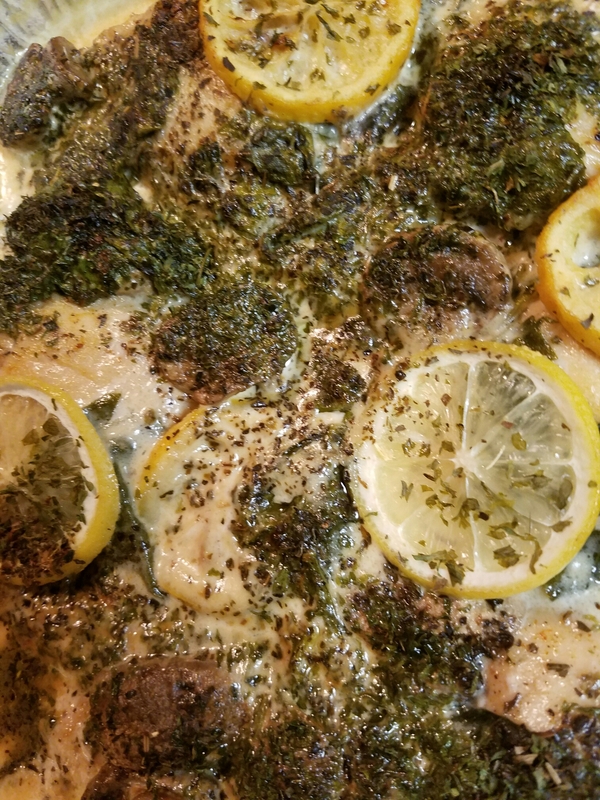 Sorry, its been a while.. lots going on right now but I wanted to give you a quick recipe, similar to the “Creamy Sundried Tomato Chicken” found a few blog posts back. You will switch out the Tomato based items for lemon x mushroom. Add heavy whipping, sliced lemons to the leftover chicken drippings. 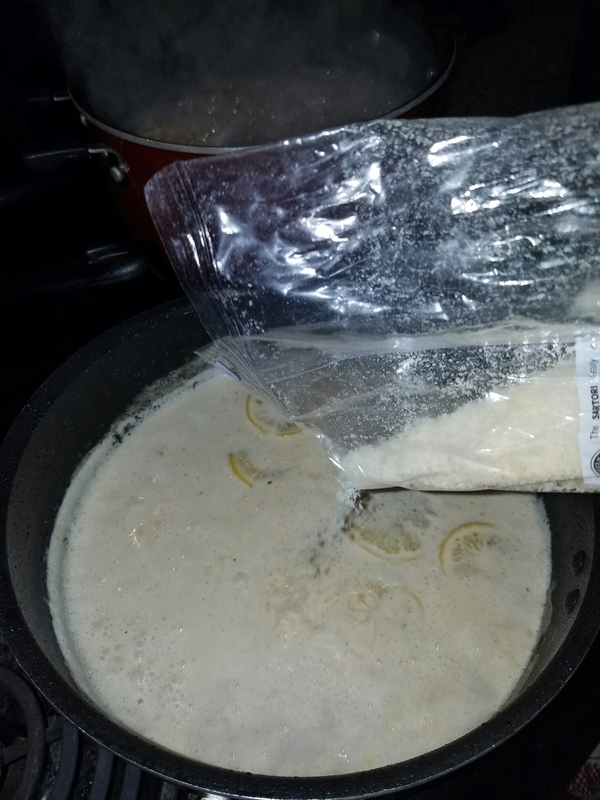 Bring to a simmer, slowly add fresh Parmesan cheese. 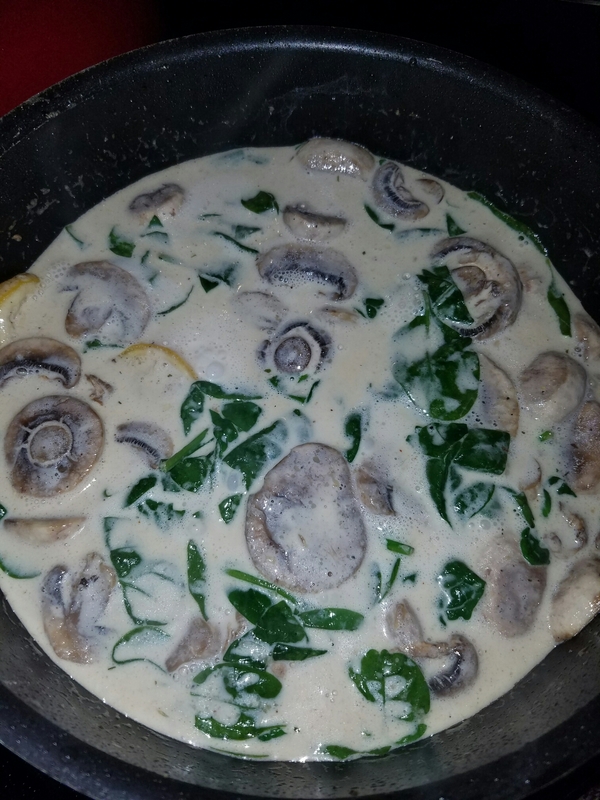 Add spinach x mushroom, bring to a light boil. Add sauce to pan x a few sliced lemons. Top with dried basil x parsley. It’ll give it the perfect crusted look and taste when we broil it. 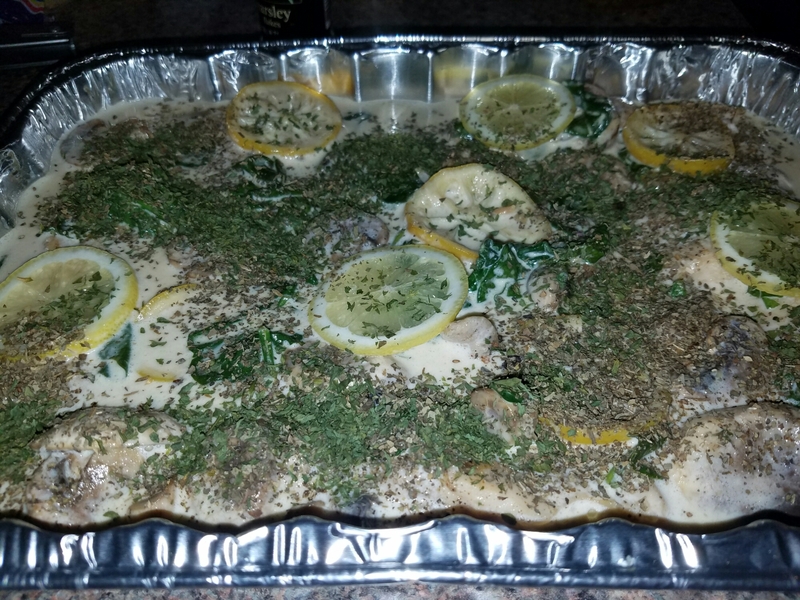 Bake at 375° for 20-30 minutes or until chicken juice runs clear. 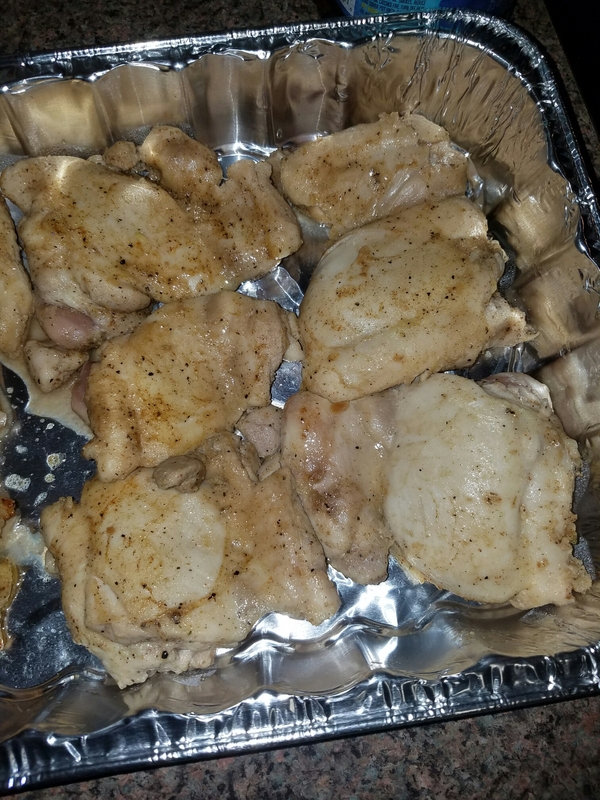 Broil for 5-7 mins to brown the top just a bit.